Is selling digital product on Shopify a right decision? Does Shopify provide significant leverage to your high-profit digital goods selling? If you’re on stuck with this decision to get started your loyal digital product business, then this article is for you. Also, you might wanna learn a new skill on a digital product business, but still hesitated about the future of this industry. This article might help you to figure out your stand. While you learn the growth history of Amazon, you could find that after starting a journey of Kindle eBooks on Amazon, it got a rapid growth of revenue. And, in 2012 the Kindle eBooks selling overtakes the physical book’s revenue. The digital product is a powerful model of the soft products still widening its size worldwide. Statista stats forecasted data that the number of buyers will be 2.1 billion in 2021 from 1.79 billion in 2018. According to Research And Markets only e-learning market in the world is poised to increase at a CAGR of about 7% over the next decade will be $331 billion by 2025. Over 266 million eBooks were sold out in 2017. But now it is the middle of 2018. It bears a huge importance to pay attention to this industry whoever loves to craft data-work for solving particular problems that people look for. Digital product’ is a popular term that refers to info-product or information product. It is a non-physical soft product that gets design using a set of information which solves particular problems or needs. It goes on internet marketing deal being offered to the consumers with a digital formate mentioning it’s significant value. That’s why digital product business is a deal which includes the info-goods that bear commercial value to make revenue. There are many of categories in the digital product business, such as audio, video, movie, writing, marketing, design, web development, eBooks, graphics, software, learning games, entertaining games, photography, documents, Magazine, professional services, various courses in the online learning industry, and countless much more. What is the world Trend of Digital Product Business Now? Search interest in the Google Trends clearly shows that using the key term “digital product business” people in India, the United States, and the United Kingdom are top countries interested to learn the info-business. The Internet world is growing with digital change and competition among creators. That’s why iGeneration and Millennial e-learning communities are appetites to secure new skill for building their better future. Forbes poised the booming market size of e-learning industry in 2015 was $107 billion. Research And Markets forecaste it will be $331 billion by 2025! It makes a sense why you should start selling digital products on your own site! Your real cost is about negligible than it’s large outcome. You can deliver the info-goods easily without handling the cost. The buyers will just click on the system to download or become a member of the learning zone you stream the video. Digital product business doesn’t require a store management that saves huge money, time and efforts. Storeless business model is great in many senses now the days. That is a great reason starters choose to run digital product business instead of a physical one. Info-goods do not need to use shipping methods which saves loading-unloading and career cost of the product. It saves risk as well. Digital goods are storeless and physical shop-less as well. It doesn’t require to pay rent in a shopping mall as well as needless extra-staff cost. POS-less selling encourages the starters to choose the digital info-product business. While once you set up your products in the web store runs okay, you needn’t think about the store back. All you need to conduct content marketing for digital sales. You’ll get selling the goods round the clock, even while you are sleeping as well. If you take a look at the business model of Paypal, you needn’t ask Elon Musk how it generates a net profit $1+ every year. All though, you’re not Elon, but lots of example around the webs offering 7-figure earning models. It is all about a game of ROI using a profound web platform. Whereas there is no product handling, no store management, no shipping efforts and not perishable goods at all – so, the risk is about zero. This is one of the great reasons clever marketers used to choose the info-product business model. Learn how to start and grow a successful Digital Products Business even if you know nothing about product launches! In some cases, digital products are hundred times precious than it’s face value while consumers buy. As for example, a quality meditation, a diet plan, a nutrition plan, a traveling plan, a financial consultation, or mentoring might saves your many expenses in sense of value scale. That’s why info-goods are more powerful in helping satisfaction than physical products. Digital goods, in some other cases, are innovative to beat the market. The same model of info-product business couldn’t secure a place in the market while it runs. Micro-soft or Paypal was disruptive startups. They won the race. Change is a daily phenomenon – it is a matter of scale. 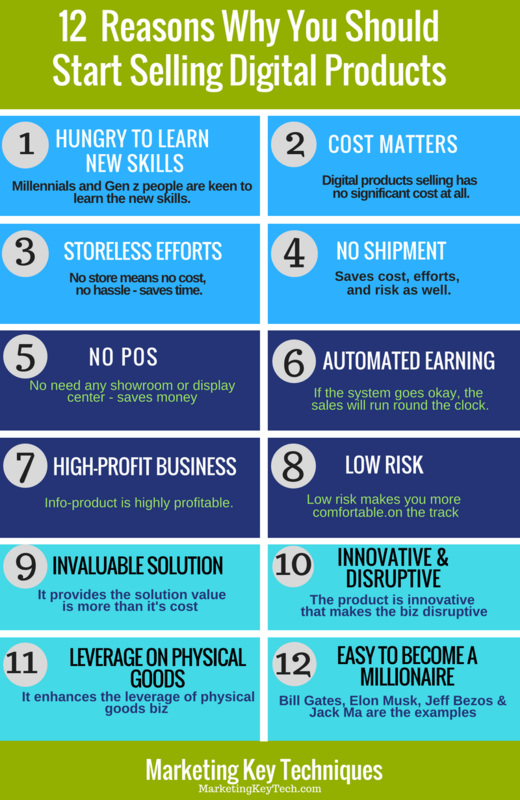 That is why innovation works best to form a disruptive model of the digital product in the market. It is appropriate for all in different strata of info-product profit models. In many cases, digital products help to the physical products to enhance leverage for better earning in the digital sales world. Web themes, web-based apps, desktop software, SaaS, mobile apps and so on, are live examples. A great virtue of information product is its power to make someone zero to millionaire – or, even millionaire to billionaire. Bill Gates is an example. You might have a special quality to create a digital product model, though you’re not Bill Gates. So what? Info-world is full of its data. All you need to work on the data-world to transform it into useful information, then a special knowledge-model that solves a particular problem of a target group. And, you’ll have to showcase the product on a loyal platform which leverages you best for outreach. This is how a digital product might change your entire financial life. Shopify is a super platform to harvest significant growth of sales on all sort of products including info-goods. It includes store, blog, and websites that grow a digital own kingdom to flourish your digital product business. It leverages you within their hosting kingdom to boost your sales using your magnificent digital store, blogging atmosphere, nurturing your content marketing. Conveniently, it helps to naturally flourish a business that gets significant brand as well. It now hosts more than 0.6M stores with 1M+ active users worldwide and has leveraged to generate $63B in transactions. In spite of some limitations with this prolific store builder, why you should choose this platform for your digital product business? To figure out your decision in favor of Shopify all you need to take a keen look at the specific merits and demerits as well. Shopify is perfect for the beginners and advance entrepreneurs as well. In a word, it is capable to meet all sizes and qualities of businesses you want. Shopify is simple to operate with all essential apps and tools integrated with the site for complete usage. It has an audience engaging attractive templates, advanced quality design in each of the tools and apps. On the aspect of user experience (UX), it provides zero obstacles to the users. It makes everything that goes easier than your imagination. Than any other platforms, it is significantly easy to set up, design and maintenance. Any beginner can manage it using existing and worthy tools that are available around the system. To grow up business naturally, it has organic power in digital sales that comes from the trust on the platform rewarded by Shopify. It enables your site performance to convert the audience to prospect and prospect to customer. No worries from further barriers. It resolves all sort of worries regarding any e-commerce difficulties. The company covers all sizes of the budget – small starters to big giant e-commerce plan. You can start with “Shopify Lite” plan that accepts credit card payments for USD 9 per month only. Also, you have the option to choose “Shopify plus” for a big e-commerce business, “Basic Shopify” plan for starter payment USD29, “Shopify” for USD79, and “Advanced Shopify” plan for hosting fee USD299. You have the opportunity to go with a free trial for 14 days, and after this period you can cancel or upgrade or downgrade or continue any package on your business requirement. If you’re a beginner, you have a chance to choose “Shopify Lite” offer for $9 per month is a wise option. Conveniently, Shopify has a discount on all plans. They pay you 10% and 20% discount on yearly and biyearly plans respectively. They do not charge for setup fee on any plan. Even you do not require to input a credit card details while you sign up for 14 days, and you can cancel account anytime. It is totally customizable everything such as website, online store, and blog within Shopify platform. No need special technical expertise to set up the things to start selling. Everything you can do on your own all you need to get a confidence to follow the intuitive system. All Shopify Pricing plan offers unlimited bandwidth for free. It is a big advantage comparing to the hosing charges in other hosting companies, though not other e-commerce platform providers. No need to ship the digital goods. All you need to use an app for downloading the goods while customers buy. In addition, In case of your store that includes mixed or both soft plus hard products, Shopify has lots of alternatives to ship the goods cheaply, safely and automatically across the world. Overlo is one of them great leverage within Shopify. You have a comfortable way to sell on Shopify using Oberlo which who serves you happy shipping, packaging, holding inventory. All your job is within your digital frame on Shopify, though the product is physical in case. The key performance indicators (KPI) are located in the customer data that helps to reach out the sales level on the apex. But all it depends on you how you could use the data. How you might transform the customer data into actionable information that helps to build your business brain for hacking the revenue growth. Maybe Shopify only does the best preserving (better to say serving) the customer data, such as user data, conversion rate, purchase frequency, average order value, number of customers and so on. It leverages to boost digital sales. Shopify accepts credit cards instantly with Shopify Payment method. It facilitates users Paypal as a default payment provider. If you use Paypal instead of Shopify payments, you’ll have to pay a charge according to Shopify payment plan. You can change you any time. If your business is located in the USA, you can integrate all the acceptable tools such as Mastercard, Visa, JCB, Discover, American Express, JCB, and so on. This company provides a top level of data security with certified Level 1 PCI DSS compliant. Whilst increased the rate of threat worldwide, Shopify goes with the time to pay you an ultra-security on whole data both of you including customer information. Remarkable that Shopify provides you free SSL certificate which meets your primary cybersecurity needs. Whether you use own credit card instead of Shopify credit card reader you’ll have to pay the same rate as your online rate. The Shopify Payment doesn’t charge you a transaction fee. 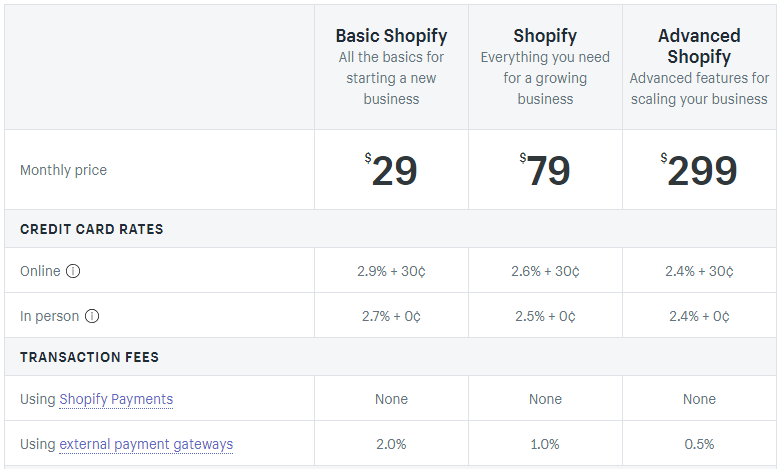 Only in case of external payment gateway on the Basic to Advanced Shopify plans, you’ll have to pay an additional fee 2% to 0.5%. You have a chance to use own existing domain, or you can purchase one within Shopify. If your budget doesn’t meet the domain cost initially, you might continue the free myshopify.com domain. Shopify provides this free while you sign up. You do not need an extra web host when you’ll have a Shopify plan excluding Lite plan. It provides safe and secure unlimited e-commerce hosting. All you need to add the sites to an existing site using Buy Button. You needn’t be worried deal with third-party hosting service. Shopify allows you to sell a product in the multiple social sales channels including special zone Facebook & Pinterest Selling. The integrated selling system includes Facebook messengers is great potential for the business growth. The platform enables you to get synced your information with the major social media such as Instagram, Facebook, Pinterest, Twitter, Tumblr. Shopify has an easy partnership with Pinterest to make the products buyable pins in Pinterest from your Shopify store. That is amazingly easy to buy the digital products from your buyers without leaving the Pinterest app. One of the best leading website Shopify enables you to build the Facebook store of your digital product to sell to millions of users. Your Facebook marketing could produce a better result due to the presence of a local store on Facebook. Buyers can simply visit and check your products or collections on your Facebook Page. Shopify transforms the tough obstacle into an easy atmosphere to sell products on Facebook users. Messenger is a most popular way on Facebook that bears the huge potential to grow Facebook-marketing and selling digital products to the desired minds. Shopify enables your customers to buy your digital goods through easy browsing experience. Customers can build quick decision using the messenger while they find your direct chat regarding the product they want to buy. The “Buy Button” integration helps hugely to promote and encash the product from selling outside of the platform as well. Shopify Buy Button facilitate you to create an embeddable digital product card at your own desired style and color as well as mobile-friendly checkout which can be placed on any sort of website anywhere. The platform provides their own email template, and also gives you to integrate Mailchimp that facilitates the huge potential for the beginners to grow their business using free plan. The platform has superior ability to provide the highest level of email marketing integration with email marketing apps such as Happy Email, MailChimp, Orderly emails, MailerLite Email Marketing, Email Template Creator, Awesome Email (Email marketing App), Gamify (Convert store traffic into email subscriber). and so on. The platform leverages your business providing some essential tools. As a new business, you have needed to create your effort brandable. There are twenty tools, such as Logo maker, Business name generator, Slogan maker, QR code generator, Business card generator, Gift certificate template, Invoice generator, and so on. Other important tools are – SEO Image by Lion Apps, Trust Badge, EU Cookie Bar, Order Printer Emailer, Photo Resize, Announcement Bar+Web Push, Form Builder, and so on. Facebook Shop, FB Messenger, Buy Button, Pinterest Buyable Pins, eBay, Sell on Amazon, Trendly (for community marketing), Locally, Instagram, and so on. Sales Pop, Mobile converter, Conversion plus, Product Reviews, Ads, Personalized Recommendations, Wishy, Digital Downloads, Ultimate Sales Boost, Bold Brain, Email Notification for upselling, Give & Grow, Lay-Buys (Secure cloud-based mobile payments), E-commerce Affiliate Network, eBayLink, A/B Test, AMP, Line Care, Single (Music Distribution Tools), Exit Popup, Coupon, Upsell recommendations by AutoCommerce, Openpay Online Payments. Flightplan (Retargeting on Facebook and Instagram), Product Review, Instant Buy, SalesUp (Product Recommendation, Compare It, and so on. Run Better Facebook Ads, Google AdWords, PageFly- Advanced Page Builder, WhatsApp Sharing, Related Blog Posts, AdRoll for Shopify, Finditquick (Increase Your Visibility), Free All-in-one Bar by Hektor, Facebook Carousel Retargeting, Facebook Feed, Campaign Monitor, Word Of Mouth Impact Platform, Social Sharing, Make money with quick ads, Feed, Loyalty Program, Neowauk (Free Pop-Ups). Flyt (Shorten Links. Track Sales), Dynamic Banner Suite By Seguno, ZigZad (Sales Booster App), Instant Traffic (Cooperate to get more visitors), SmartPop ( Pop-ups to offer your discount), and so on. Quality images play important role in selling digital products on Shopify. A significant image generates a huge impact on a content marketing that grows your digital product business faster. Shopify BURST provides you free images from their mega stock to focus your business. You can use their image that is royalty free for your site and commercial usage. Product download is a prime service for this soft product needs an adequate system and support. Shopify has available own and third-party tools to provide you this smooth service. ‘Digital Downloads’ is one of the remarkable free apps help this. SendOwl is a third-party powerful tool-set to manage and sell the info-goods that satisfy both of you including the customer in a loyal way. Sky Pilot, Fetch, Downtown, and so on many worthy apps work for digital product download services with remarkable satisfaction. 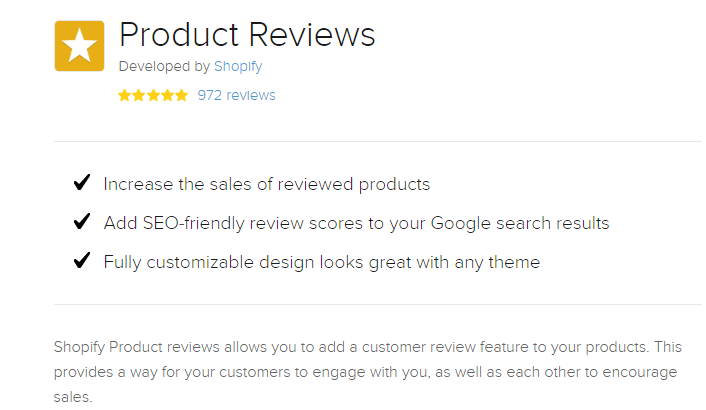 ‘Product Reviews’ is the most popular free tools made by Shopify helps to democratize customers opinion on their product experience and satisfaction. According to Shopify, this app is SEO-friendly and obviously, the review process will help you to increase your sales. Your selling digital products on Shopify can be optimized with this product review tools for a better result. Any need of digital product you want to sell – Oberlo is ready. It is for you to solve your supplier needs for dropshipping digital goods as well. If you would like to sell out suppliers digital product, that also possible within a range of your goods availability Oberlo works, They will find products, package at free of cost, free inventory usage. You might rely on Oberlo as she already sold out 85 million products. Description: Start a Dropshipping Shopify business. Build an ecommerce Shopify store and start Dropshipping from Aliexpress. Start a Dropshipping Shopify business. Build an eCommerce Shopify store and start Dropshipping from Aliexpress. On the aspect of user interface (UI), Shopify has profound simplicity on the storefront that compels users to you have many alternatives to make it accordingly on your desire. Most perhaps, the simplicity of this platform grows a conversion power to users might feel. Shopify created it quite SEO friendly with all sort of apps and tools integration. It has powerful integrating apps such as SEO Image Optimizer, SEO by FoxDrive SEO, SEO Ranger, Atomseo – 404 error & broken link checker, Get Clicked SEO, and so on many SEO apps. As more than 60% traffic comes from mobile devices, mobile-friendliness is an important part of the business efforts. Your site on Shopify has easy accessibility on any sort of mobile devices from anywhere. You need to use apps to make the site able to avail of devices and all you have scope to manage the things from your mobile. It enables you to provide printing shipping labels from your mobile. It provides built-in analytics that includes the metrics product report, traffic report, and export report. You have an easy chance to integrate your site with Google Analytics. Selling digital products on Shopify might be boosted while you could able to use the analytics metrics properly. While your business size gets enough expanded that requires development, you have easy chance to use the developers around Shopify. Shopify partner program includes professional experts who’ll surely fix your every requirement on your demand. Whether you need a prolific marketing service, a specialized App, or technical development according to your digital product business model. You needn’t waste time or efforts. All you have an instant chance to gather an expertise at an economy rate. 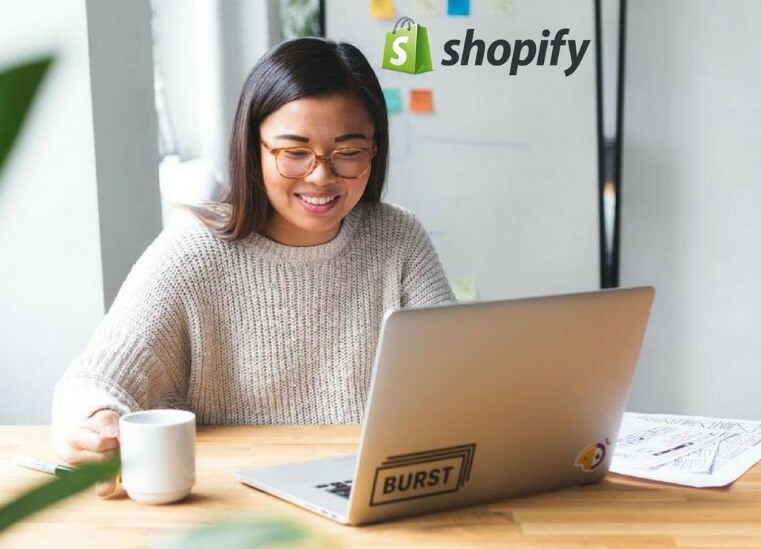 Shopify enables you to gather significant development experts (such as Setup Expert, Designer, Developer, Marketer or a Photographer) at your convenient locality worldwide. Evidence located on the many Testimonials to the Shopify Developers that shows the fact. Many entrepreneurs turning their final destination to Shopify is a big sense – why! Why not! Many famous brands are now on this prolific platform that proves an advance feelings of better business. They are always with you while you’re with them to get help round the clock by their award-winning customer support. While you could able to enlist the actionable key factors of a successful digital product business on Shopify, you’ll surely find the comparable advancement in revenue generation in this store builder. A single more core element compares to any other store builder might change the revenue game. Shopify deserves the better range of achievement maker platform in sense of highest ROI at lowest efforts. It is like this because of highest leverage at a lowest real cost of Shopify. Lack of wholesale selling alternatives and In some cases missing elements are remarkable limitations. In the case of limited feature recovery, merchants need Add-Ons, which is enough expensive. Sometimes support varies in the case to case which is for instant reasons. All though it is very few of the whole users but mentionable that some limited budgeters feel the plans expensive. It requires to hire a designer or developer to build a static page. Also, need to purchase a theme which is an extra cost. Not often, but very few of the users around web raises downtime issue while they are on potential business deal. In fact, Shopify is a leader in the e-commerce market for a store building, and other unlimited facilities for selling digital products. Considering hundreds of pros, the cons are quite negligible in the case of continuous development efforts on Shopify. Gradually it getting more new features making the platform always unbeatable. The e-commerce business with the digital product doesn’t fall under remarkable limitations like physical product business. In sense of real practice, no one startup can sustain without creative investment. Digital product business ROI also goes with the clever investment which is not remarkably big at all like physical products. Rather in many cases, digital product business rewards a hundred times more profit than physical product. On the other hand, selling digital products on Shopify would get simply the best leverage from brilliant features that enables an unbeatable platform for starters to experts. The Compelling storefront, hundreds of payment gateways, profound content marketing, and scalable small business-friendly price-plan are remarkably lucrative leverage to boost your profit selling digital products on Shopify today. Whether you’re Gen Z or Millennial of the time, you might needn’t wait to start a digital product business on Shopify. Are you not yet keen to be an infopreneur? You might share your opinion.